During the holidays families often have to split time when their adult children are married. Our family is no different than any other family. Every year we share the kids with the in-laws. Last year my daughter-in-law came up with a great idea so that my hubby and I did not feel left out on Thanksgiving day since it was not our turn to host the family. Instead of having a big Thanksgiving celebration with all the kids and grand-kids, we had a big after Thanksgiving family leftovers celebration. All the ladies were charged with coming up with a dish using leftovers from Thanksgiving. Besides being able to spend time with my kids and mom I got a few new ideas to share on my blog. 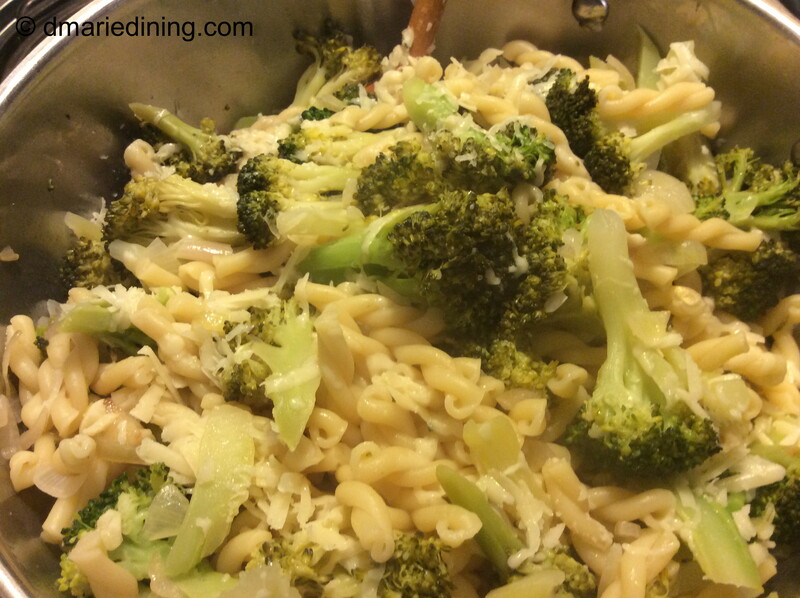 Nat created a tasty pasta dish from leftover steamed broccoli. This was a very simple dish but was packed with flavor from the garlic, white wine and parmesan cheese. I knew Nat’s Broccoli and Pasta Remix would be a good recipe for my blog when my youngest grandson jumped right in and gobbled up the pasta. Who could argue with a pasta connoisseur like little Ant? Thanks Nat for creating a new family tradition and a way to still share the holidays with our kids and grand-kids. Prepare pasta according to package then set aside in a large bowl. Reserve ½ cup pasta water. Place 6 cups of water along with 1 tbsp of salt and bring to a boil. Blanch broccoli then drain. 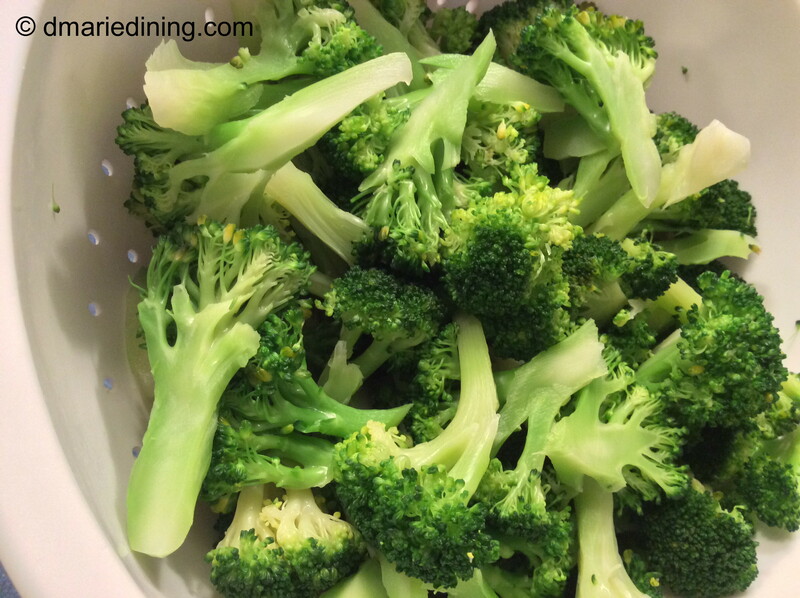 Place into a cold water bath to stop the broccoli from cooking. Reserve ½ cup of the broccoli water. Heat olive oil in a large skillet over medium high heat. Add onions and cook 3 – 5 minutes until onions begin to soften. Add shallots and cook for 1 minute then add garlic. 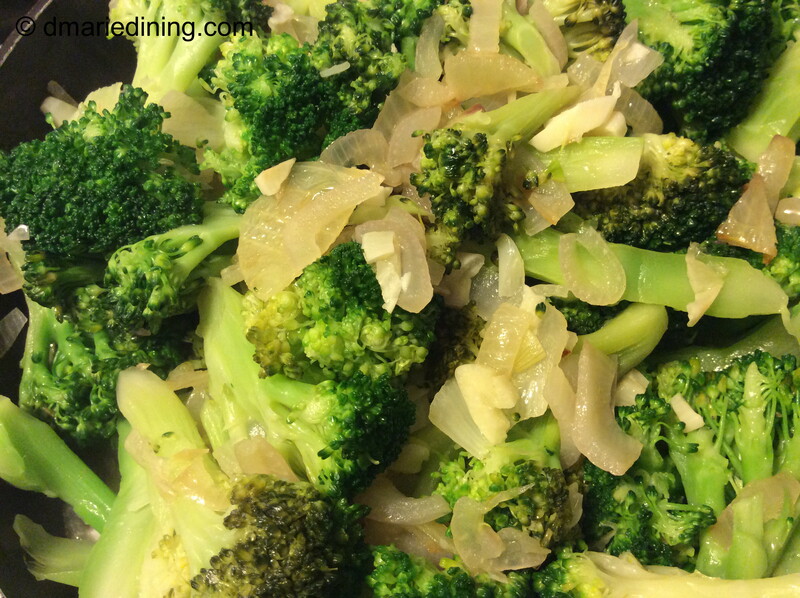 Cook until vegetables begin to brown stirring constantly so that garlic does not burn. Pour in white wine and cook for 1 minute. 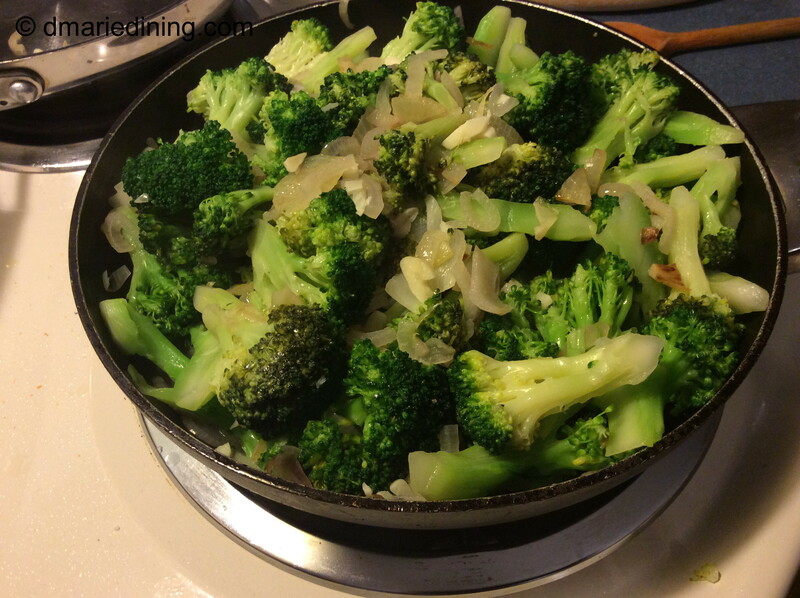 Add broccoli to the pan season with salt and black pepper. Stir to mix then remove from heat. Pour broccoli mixture to the pasta along with broccoli and pasta water. Sprinkle with parmesan cheese and gently toss together. Optional: Red pepper flakes to add a little kick!